I will apply and honour the Australian Privacy Act 1988 to the letter. This includes personal and sensitive information forwarded to me by e-mail or through the web site, or by telephone. I will also keep absolutely confidential any personal or sensitive information I hold and not divulge the same except when required to do so by law. I will honour confidentiality absolutely, and will apply the same strict principles as best practice in the legal profession requires, as I did in a former life when I was a legal practitioner. ‘Personal information’ is defined in the Privacy Act 1988 to mean any information or opinion about an identified individual, or an individual who is reasonably identifiable, whether the information or opinion is true or not and whether the information or opinion is recorded in a material form or not. 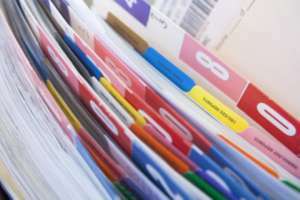 I collect and hold a range of personal information in carrying out my business as an employment representative and obviously depends upon what I may be asked by you to undertake on your behalf, for example name, job title, contact details, communications between you and me, financial information, and other personal information that you provide to me. I do not engage third parties in my practice, and have no staff. If you supply us with personal information about another individual, I will ask you to assist me by referring that person to this Policy. I hold personal and sensitive information in hardcopy and in electronic form, and I take reasonable steps to protect same from misuse, interference, loss, and unauthorised access, modification or disclosure. My use of personal and sensitive information is limited to the purpose for which it is obtained and no other. You have the right to request access to personal and sensitive information which I hold about you and to request its correction if it is inaccurate, out of date, incomplete, irrelevant or misleading. You may do so by contacting me in any way convenient to you. I will respond to all requests for access to or correction of personal information within a reasonable period. If you would like to complain about a breach of the Australian Privacy Principles, you may contact me by e-mail or any other method you find convenient. I will respond to complaints within a reasonable period of time, most often within 5 business days. If you disagree with my decision, you may refer your complaint to the Office of the Australian Information Commissioner by visiting www.oaic.gov.au, calling 1300 363 992 or by emailing enquiries@oaic.gov.au. The policy has been updated on 17 June 2017.